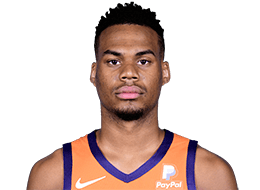 Elie Okobo finds Richaun Holmes for the alley-oop dunk. Nikola Vucevic scores 25 points to go along with 15 rebounds as the Magic get the win on the road over the Suns, 99-85. DeMar DeRozan scores 25 points, LaMarcus Aldridge adds 24 points as the San Antonio Spurs get the win in Phoenix, 120-90.